The compressor test will study aerodynamic phenomena that even the most powerful computers cannot simulate. The animation displays a numerical simulation of the Notre Dame Transonic Axial Compressor (NDTAC) flow field using Very Large Eddy Simulation (VLES) approach; the Q criterion is colored by the total pressure field. A Very Large Eddy Simulation (VLES) of a flow field around helicopter blades in hover. Delayed wall behavior together with k-omega SST and coherent structure model were used in this simulation. The computation was wall-resolved (y+ = 1) and the overall size of the mesh is about 7,000,000 cells. 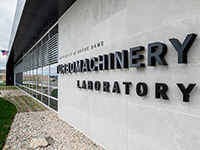 Nearly two years ago to the day of the ribbon cutting, the University of Notre Dame announced a plan to build a $36 million turbomachinery research and testing laboratory at Ignition Park in South Bend. On that day, June 25, 2014, the University and its project partners — the City of South Bend, Great Lakes Capital, the state of Indiana and Indiana Michigan Power — unveiled a vision for the new Notre Dame Turbomachinery Laboratory (NDTL), a high-powered research laboratory to analyze and advance the technology of gas turbine engines used for jet aircraft, power generation plants and the oil and gas industry. Tuesday (June 7), the 25,000-square-foot facility was officially opened with a ribbon cutting ceremony featuring University leaders and researchers along with community, state and private sector representatives. 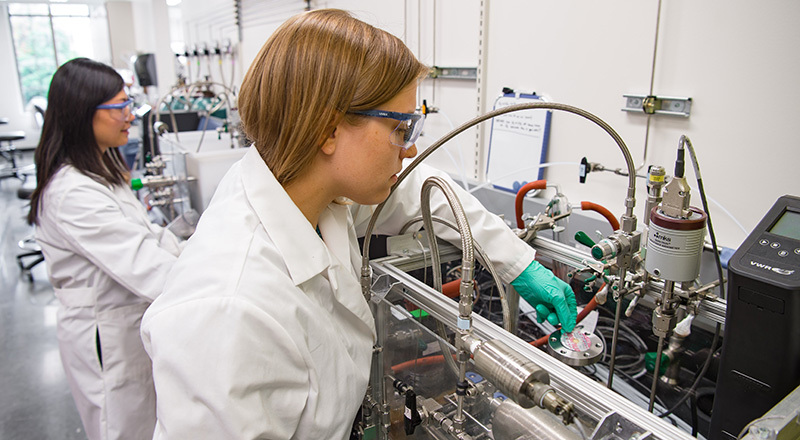 Researchers at the NDTL will study aerodynamics, thermodynamics and structural mechanics of parts of large rotating machines, with a focus on things such as vibration, stability, flow and efficiency. On Thursday, April 7, NASA Deputy Administrator and ND alum Dr. Dava Newman (’86) visited the Notre Dame Turbomachinery Laboratory at Ignition Park. Research Director Scott Morris addresses state and local collaboration. The NDTL will move to a new, 25,000 square-foot location in Ignition Park in South Bend, Indiana, in late 2015. Currently under construction, the new facility will enable a significant expansion in test cell capability. These facilities will operate with shaft powers from 700 hp to 12,000 hp in a secured, export-controlled environment. Stay tuned for more construction updates! 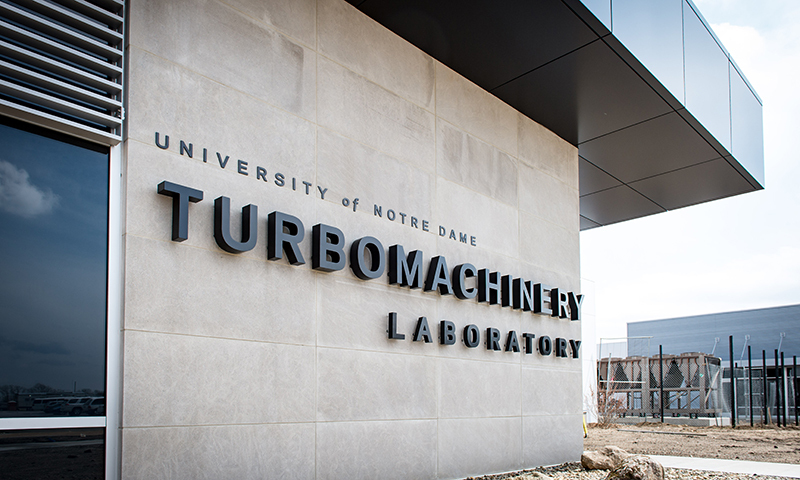 The Notre Dame Turbomachinery Laboratory hosted a booth at the 2015 ASME Turbo Expo in Montreal, Canada in June. The NDTL team met with current and potential customers and research sponsors thought the week. In its 60th year, the ASME Conference brings together the best and brightest experts from around the world to share the latest in turbine technology, research, development, and application.